Jackson County is one step closer to converting an old railroad into a walking and biking trail. The first phase of the Rock Island Rail Corridor will open within the next 30 days. The second phase should open by the end of 2019. Jackson County split the project into two phases of roughly seven miles each. The first phase runs from about Jefferson Street and 291 Highway in Lee’s Summit to Brickyard Road near Noland Road in Kansas City. Phase two will go from that point to the Truman Sports Complex. MoBikeFed comment: This is the next step in completing the Jackson County portion of the Rock Island Trail, which will eventually connect to the existing 47 miles of the Rock Island between Pleasant Hill and Windsor, Missouri, where the Rock Island connects with the Katy Trail. 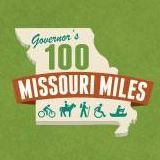 Keep in mind that Missouri State Parks is working right now to consider whether or not to accept the next section of the Rock Island Trail as a state park. This section would extend another 144 miles eastward from Windsor. * You strongly support the trail and feel State Parks is the best organization to take over and manage the entire corridor for the long term. * It is imperative that, above all, the entire corridor be preserved intact for the future. * State Parks should accept and manage it--but should look primarily to outside funding and resources to develop the trail. No one is expecting State Parks to lead the way in covering the expense of trail building, when their budget is already stretched to the limit. * Given State Parks' budget pressures, State Parks need to be looking at: What is the MINIMUM investment needed from State Parks in order to preserve the corridor now. State Parks can provide that level of investment; a combination of local, private, and grant funds can fill in the rest over time. * The trail doesn't need to be built to "Cadillac" levels. It is OK to begin with a basic level of service for the trail and work for higher, more expensive levels if and when funding becomes available.